Marcella Madeira is a Brazilian artist born in Rio de Janeiro in 1981. She works and lives in Amsterdam since 2007. She graduated in Social Communication in 2004 and from 2003 to 2005 she studied painting in the School of Visual Arts Parque Lage, in the Rio de Janeiro. While she reveals a bold mixture of influences, her canvases have an unquestionable Brazilian flavour, the vibrant use of colours with the organic shapes create works that are as much playful and free as they are geometric and rhythmic. In earlier works, her paintings showed a result of her exploration of the various possibilities of line as the essential element of a painting. By accentuating fine paint over canvas, skin over skin, dermis over dermis, she has created her own work method without brushes and using physical movements to distribute paint across the canvas. The juxtaposed geometrical lines on my canvas are irregular, undefined and sometimes intricate. The stripes strive for a magical moment where they assume their own significance, clashing with one another, crossing barriers and escaping the limits of perception. 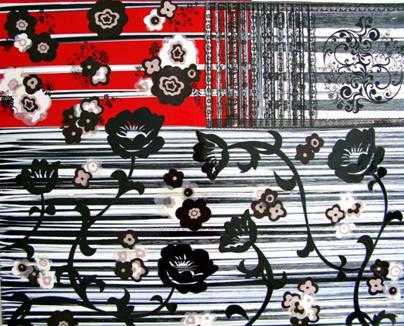 Recently, she has incorporated everyday objects such as stickers, wallpapers and hand made cuts into her painting process to create a dialogue between two languages and two worlds, between low and high art, as well as the organic and the geometrical. 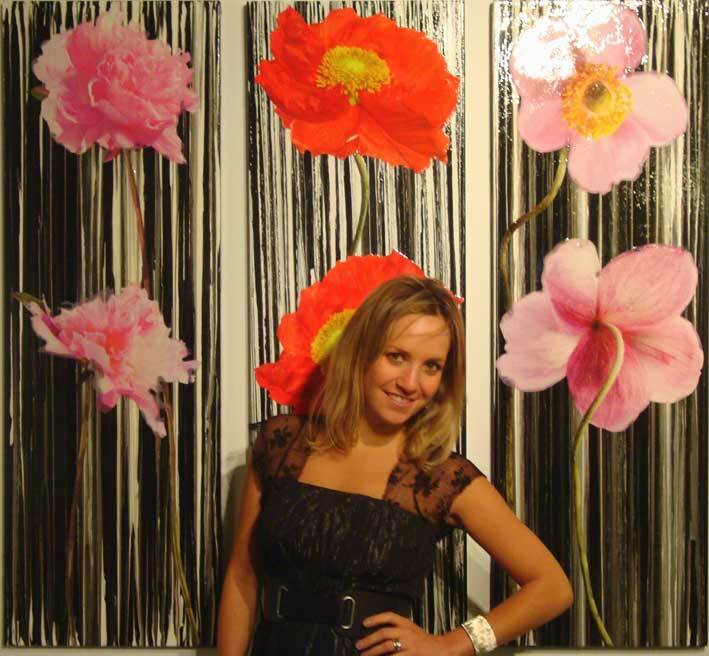 Marcella Madeira about her painting; “In general I like to use flowers because they bring with them all of their history of symbolism, fragility, sensuality, beauty and a mysterious allure. Through this diversity of practice and multiplicity of sources, I want to explore the entire realm of visual art in all different means of expression. My colourful multi-layered works use stickers, hand made cuts, wallpapers and flowers photographs into my painting process. The starting point of my work is the strategy that Cubist artists engendered from collage. The collages explores the possibilities of today’s painting practice, it is a process of constant appropriation and review of the visual imaginary and history of art itself to create a dialogue between two languages and two worlds, between low and high art, as well as the organic and the geometrical.